Welcome to our site. We have a lot of great information on tap for you here if you are learning about CCTV security camera systems. We originally launched as a site that focused on serving only CCTV installers. Over the last few years however it has become a site for installers, end users, distributors and many more. 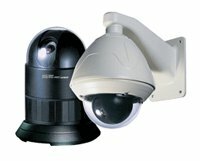 We try to to provide the best information and advice related to CCTV and Video Security Systems. We do provide training and information to low voltage contractors, electricians, and IT integrators who see the need to add security camera installation as a part of their business. That same quality information is available to the end user and to industry distributors as well. Video security continues to be a growth industry with many changes coming the last few years with the popularity of IP Video Security Systems. Maybe you are looking for information about how to choose a CCTV Power Supply or perhaps its how to connect the cables for a CCTV Camera System? We can provide you with training, expert advice, information and the products you need to install a quality video security system. Have questions? Looking for expert advice? Send us a message: you'll get the facts, information and expert advice you can count on to help you choose the right cameras, recording system and solutions that will help you get the job done quickly and profitably or provide you with the knowledge to make the right choice. Are you wondering about Megapixel Cameras or PTZ Cameras? There are a lot of questions about the differences and if the entire industry is making a complete change. Learn more at the Megapixel Security Camera Review and the PTZ Camera Review. Take your time and browse through the site for more detailed information on a wide variety of topics all related to video security. If you don't see the information you need please let us know what we need to add. Look for the link to the search survey in the right column. It is short and will help us provide you with the information you need. Choosing the right camera is critical when designing your security system. Learn some of the basics by visiting the CCTV Security Camera Information page.